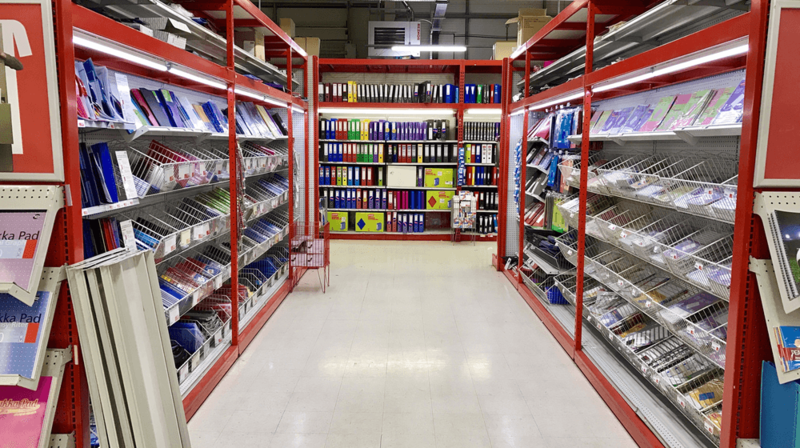 Whether you have a large office building for your team or a simple home office, you need to stock it with all the supplies and equipment necessary to run the day-to-day operations of your business. The exact items may vary from business to business. But there are some general categories you should at least consider as you stock your shelves and supply closets. Here’s a full checklist of items you may want to purchase. Every office needs the basics. Though you can do so much with technology today, there are still those times when you need to write things down the old fashioned way or save some hard copies of documents. These basic supplies are not usually expensive. You can grab them from any office supply store or even order them online. It’s a good idea to have them on hand even if you don’t think you’ll use them every day, just so you don’t have to run out to the store every time you unexpectedly need some tape or a notebook. Today’s businesses cannot properly function without technology. These items are usually a bit more of an investment. But you can do so much with just a few purchases. If you want to get started in your new office, these are some of the must-have tech items that you may want to consider. Whether you have a home office or a dedicated space for your whole team, you need somewhere to sit and work. You can find office furniture on plenty of different styles, so you can tailor it to your specific preferences or the vibe you want to create in your office. To keep your office organized, you need some basic storage equipment. These items can help you sort through documents so you always know where to find the items you need. They can also give you a place to keep all of those basic office supplies so your desk isn’t constantly cluttered. If you run a business that sells products online, then shipping supplies are a must. However, even a standard office with no ties to the ecommerce world is likely to have some documents or items to mail every now and again. Here are some of the most essential items to have on hand when it comes to mailing and shipping. For those times when you’re hosting meetings or brainstorming sessions with your team or want to share ideas, you may benefit from some presentation or collaboration supplies. No matter what type of office space you’re working with, it’s essential that you keep it clean and tidy. Even if you have a cleaning crew, it could help to have some basic cleaning supplies on hand just in case there are spills or messes that need to be cleaned up quickly. It’s also necessary to have some basic supplies to replenish your office bathroom. Then there’s the office kitchen. This is often popular place for lunch breaks or an extra jolt of caffeine in the middle of the workday. You don’t necessarily need to provide all the food and dishes for your whole team, but you can make sure the basics are in place. Safety should be your top priority at all times. With that in mind, it’s a good idea to have some basic supplies on hand in case of injury or accident. Some of these items may even be required by code. Finally, office supplies don’t have to just be for function. Decorating your office can help to increase productivity and create a more pleasant environment for you and your team.